When you think of metabolism boosters, what comes to mind might be pills, or a powdered supplement or some other form that is manufactured and generally priced too high. Instead of buying a pill or supplement to boost your metabolism you can do it naturally. Understanding and knowing your how your metabolism works is a key factor to losing weight. So before you run out to the local nutrition supplement store, try going all natural first. There are many ways you can rev up your metabolism without spending lots of money. These tips will help you to boost your metabolism naturally. Get active by adding exercise to your weekly routine. I know, there's that dreaded word again - exercise. But people who add exercise to their weight loss plan tend to lose more weight in the same period of time as those who only diet. With aerobic exercises you will be burning fat and calories and strength training will help build lean muscles. The more lean muscles you have the higher your Basal Metabolic Rate (BMR) is and the more calories you will burn. Try adding a least 30 minutes of some type of activity a day. With just 30 minutes a day at least 3 or 4 times a week will have a positive impact on your metabolism. Not only will this rev up your metabolism naturally, you will feel more energized. If you really want to jolt your metabolism try kicking it up a notch. By adding spurts of high instense exercises like sprinting, your metabolism can stay revved up to five times longer than with an easier workout. This form of exercise is known as interval training which not only keeps your metabolism going it builds endurance. This is one metabolism boosters tip that many people to this day still don't follow. You know the old saying, breakfast is the most important meal. But do you know why? Eating a good, healthy breakfast gets your metabolism started. When you skip a meal, your metabolism slows down and your body's natural defenses take over, storing fat and saving it for fuel when needed. So, think of breakfast as one of your metabolism boosters and eat. Remember, fat loss is what you're looking for and you burn more fat when your metabolism is working. Breakfast doesn't have to be a huge meal. You could have quick bowl of cereal or a yogurt. Just start your day right with a healthy diet and eat breakfast. Eat smaller meals more often. Less really can be more. By eating smaller meals more often you will feel more satisfied during the day. The recommendation is to eat something every 2 – 3 hours. So depending on your daily schedule, this would be 4 – 6 meals a day. Experts are now saying that eating smaller meals more often helps keep your metabolism going. Remember my tip on eating breakfast? Same concept here. Think of your meals as metabolism boosters. Many weight loss plans will still have a typical meal plan of breakfast, lunch and dinner, but they also have times of the day for “snacks”. This, in reality, is your additional meals throughout the day. Just remember to make these meals or snacks the right foods to continue eating healthy throughout the day. Another great metabolism boosters trick is to get lots of protein. By adding protein with every meal you are improving your lean muscle mass. The more lean muscle, the higher your BMR. Don’t worry, I’m not saying you have to bulk up and become a body builder. Just focus on eating the right foods. By adding protein to every meal, you are helping fuel your body with muscle. Protein can be found in a variety of foods from many of the food groups. Red meat of course is the first thing that comes to mind. But foods like turkey or chicken, cottage cheese, fish and egg whites are another great source of protein. Water and weight loss. These 2 terms are often seen together in most weight loss tips. There is some debate amongst the experts on whether there is any real benefits to losing weight by drinking the recommended 8 – 10 glasses of water (8 oz glass). 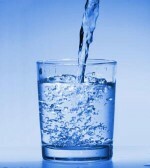 However, most agree that people who drink this amount of water do see weight loss results. For some, this could be because they have replaced their sugary drinks with water. For others, it could be as simple as feeling full from that glass of water. Even though there have been very few scientific studies done on the benefits of drinking water for weight loss, all the successful weight loss plans do recommend drinking water. Find out here how else water can help with weight loss. want even more tips on boosting your metabolism, then be sure to read "Five Metabolism Boosters You May Not Know". Get your metabolism furnace burning with these foods. Add them to your favorite meals and recipes. Find out what metabolism is all about and how it's defined for weight loss. Can't find the motivation to start your diet? Check out these motivational tips so you can start losing weight today.